1. As you take over as president of the Science Fiction & Fantasy Writers Association, what’ll you do to make the organization more appealing to a broader group of writers? One of the things that the organization has been looking at in recent years is how the ways writers make money is changing. Where once publishing with a major publisher was the only path, nowadays we see people earning their livings through small press, independent publishing, subscriptions, crowd-funding and other means. While SFWA must remain an organization of professional writers, it needs to be all the permutations of professionality. 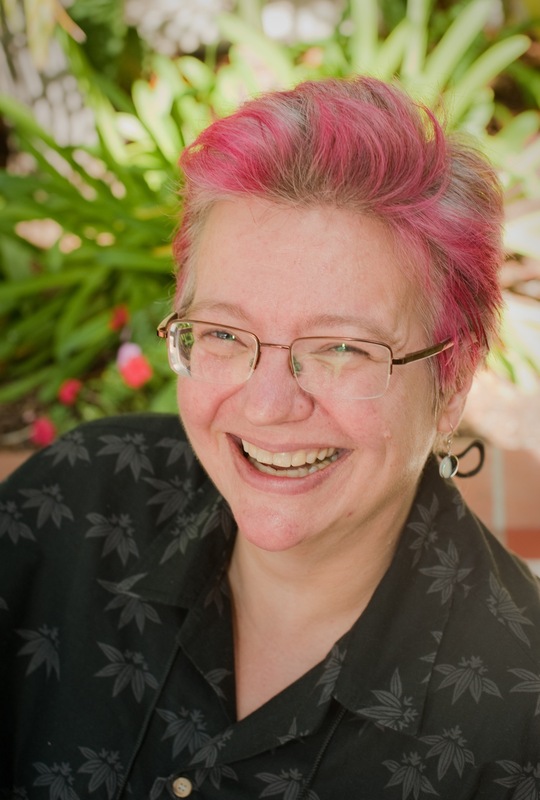 SFWA has so much to offer professional writers beyond its community, and we’re looking at how to support all our members—with information, resources, and other forms of help. Right now we’re looking at discoverability and ways to help our members with that through things like the recently implemented new release newsletter and the NetGalley membership, which I hope to see set up within the next few months. 2. After years of writing award-winning short fiction, how different did you find the process of writing your first novel, Beasts of Tabat? I’d been working on novels off and on all along, but I’m only recently beginning to figure out the difference, which is a) novels are more complex and b) you can’t hold an entire novel in your head the way you can a story, which makes writing it much more difficult, a bit like trying to build a house while living in it at the same time. 3. 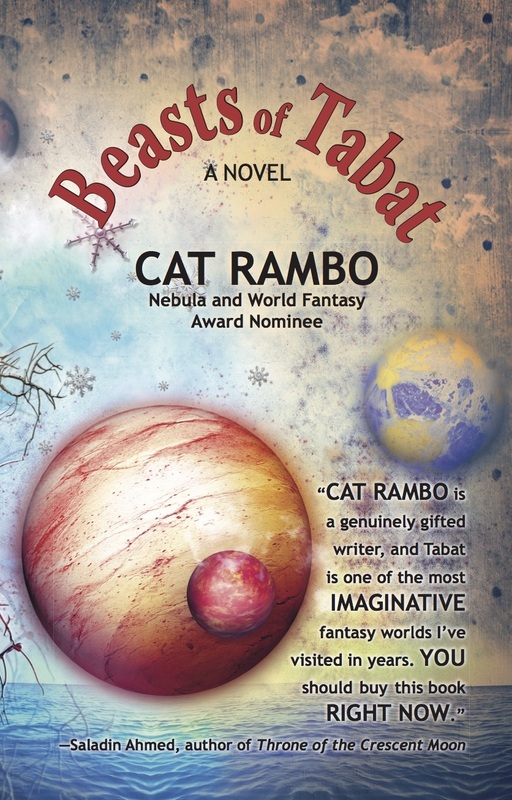 When you sat down to write Beasts of Tabat, what were the two or three most important things you did at the start? I think the most important thing is that I’d developed a strong sense of the setting. I knew a lot about the physical geography as well as the history, from having written so many stories already that were set in Tabat. Another is that I had some sense of what the book was about. I don’t know how important that will be for other writers, because everyone’s process is so different, but it certainly helped to have an idea of where I wanted to have arrived by the end of the book. 4. What appeals to you about the World of Aetaltis? And what sort of hero did you create for that setting? I have always loved roleplaying games, so a chance to write in a shared world like that sounded like so much fun! I have a pair of heroes, actually, with a buddy story going on, so expect banter. Lots of banter. 5. I just learned that John “Lost in the Funhouse” Barth was a mentor to you and that he looks forward to reading your book. Please describe your terror and hopes at that prospect. I am so pleased that he said he would read it. I hope that he’ll see how deep and rich and wonderful genre fiction can be. That if he hasn’t read Delany or Emshwiller or Tiptree Jr., he’ll start. Because I know he’ll love some of that as much as I do. That he’ll understand that F&SF can explore the human story in a way no other literature can. It does take a certain amount of guts to send Barth my book and say, “You will enjoy this.” But I know the book is good, good enough to withstand Jack’s perusal, and it pleases me enormously to be able to show him that his instruction was not wasted on me. Watch for what’s next for Cat at her website.